Education, training, and certification programs are foundational elements of any profession. When it comes to relatively new functions like social media discovery, the importance of good training and certification options is amplified. There is a dearth of expertise coupled with the need for corporations and law firms to address challenges quickly – that combination creates an immediate need for formal and effective training. The activities within the eDiscovery profession tend to be specialized. For example, forensic disk imaging requires a specific skill set that is very different from the skill set required to run predictive coding review workflows and projects. As a result, generic eDiscovery certifications have yet to gain mainstream traction in a meaningful way. This is not to say such programs are not valuable; they are. However, given the lack of a standards board or independent third-party that has published a treatise on what it means to be qualified to perform “eDiscovery,” it is difficult for any one certification to be an industry standard. Further, the eDiscovery profession is a sum of many tasks, most of which are performed by various team members (as opposed to one person being responsible for, or capable of performing, all). What I hear from eDiscovery professionals when it comes to certification is that there is simply not enough definition as to what it means to be a certified eDiscovery professional. One type of certification that is more important than ever is vendor-specific (or tool-specific) certification. 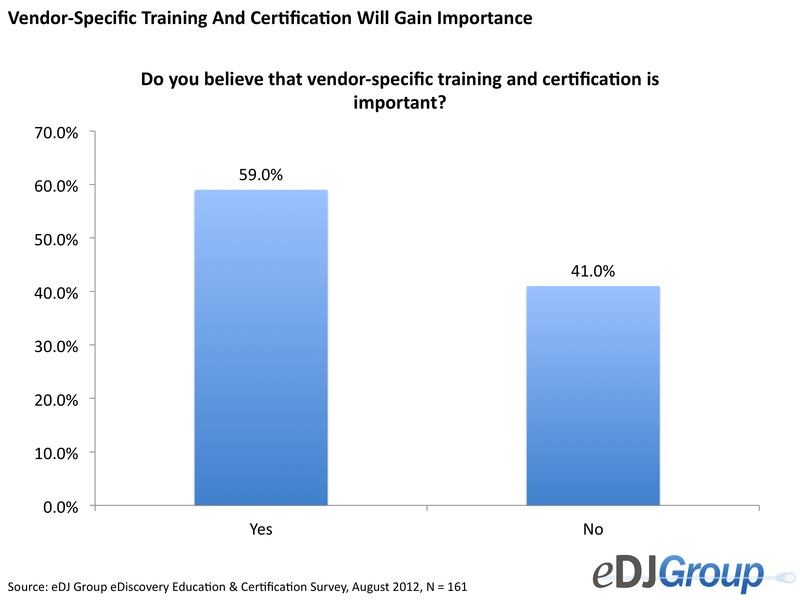 Previous eDJ Group research had validated the fact that training and education programs are critically important for the practice of eDiscovery. For years, it has been critically important that forensic investigators be certified on the tools they use – such as Guidance Software’s Encase (EnCE, EnCEP) or AccessData’s FTK (ACE). Likewise, the Relativity Certified Administrator credential (RCA) from kCura has gained significance in the hosting and review market. As such, upon joining X1, I was very pleased to hear that the company will offer certification for our X1 Social Discovery tool. Why is certification for the Social Discovery tool so important? First, social media is now ingrained in our business lives. 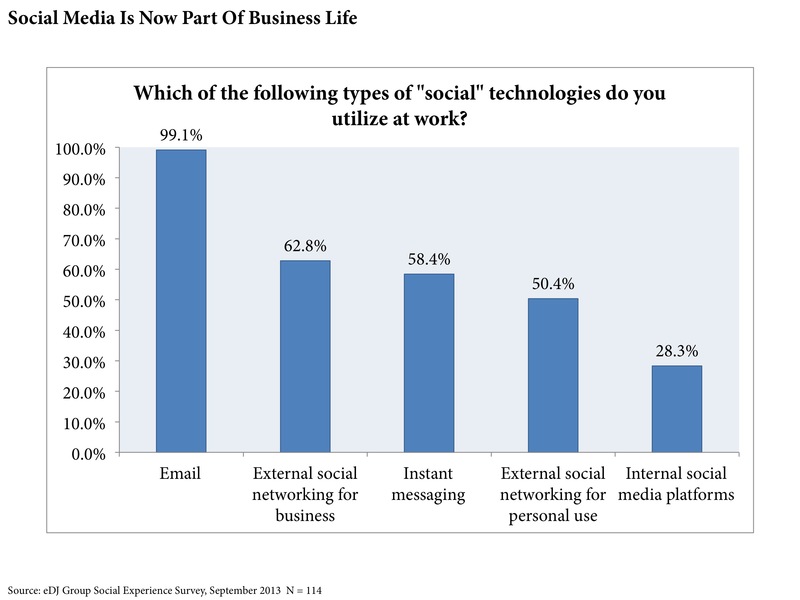 eDJ Group research from September 2013 shows that almost two-thirds of workers now use external social networks like Facebook or LinkedIn for business purposes. Second, social discovery is still fairly new and requires in-depth training. With X1 Social Discovery, users need to understand how MD5 hash values of individual items are calculated upon capture and maintained through export. They need to understand the automated logging and reports that are generated. They need to be educated on the key metadata unique to social media & web streams that are captured through deep integration with APIs provided by the sites and how this metadata is important to establishing chain of custody and authentication. Given these new challenges, a certification program just makes sense. Even better, X1’s Social Discovery tool will be the only one on the market with a certification program in place. That will be an important distinction in the market, especially given the large amount of law enforcement customers for the product (doing things by the book is extremely critical in law enforcement investigations). Is there going to be any consideration made for international users of X1 Social Discovery for future certification courses held outside of the US?